Description: A pale species with a yellow, orange, or red color pattern and contrastingly dark brown wing tips and scutellum. 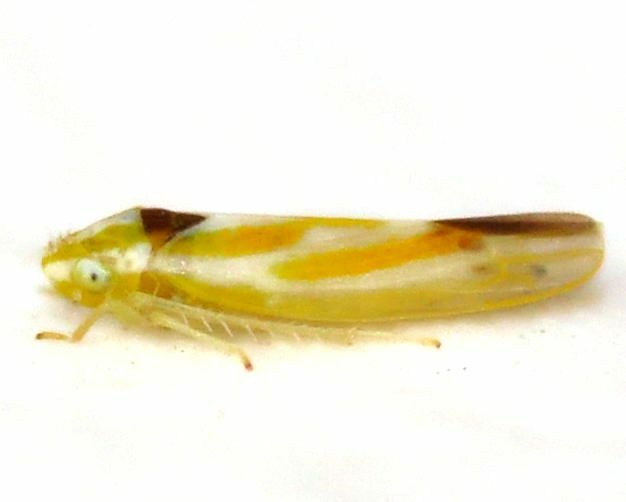 The pronotum is pale with two longitudinal stripes, concolorous with the wing stripes. Abundance: Recorded from a few counties in the mountains, possibly more abundant in the right habitat. Habitats: Has been found in grassy, open habitat near forest; likely prefers areas near birch. Comment: NOTE: Erythridula is a very challenging genus to identify to species level, as there can be variation in pattern and coloration within species, and many species resemble one another. Dissecting specimens is the the only way to determine species for many cases. 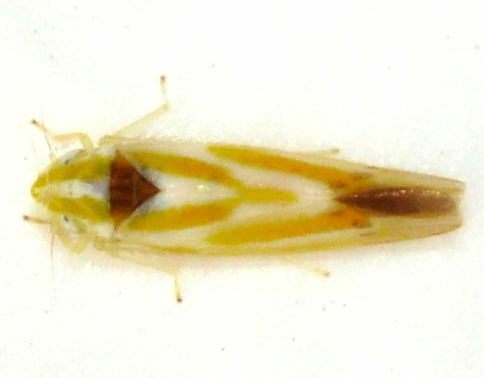 This page represents individuals that could be E. aspera, in particular var. 'kanensis' which has a dark brown scutellum and dark wing tips, but until a specimen is obtained and dissected we cannot say for certain.